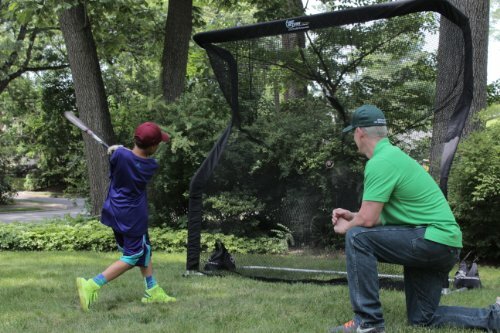 The Net Return Pro Series Multi Sport Net — Developing the perfect golf swing comes down to attaining some knowledge of good swing mechanics and completing a whole lot of repetitions. 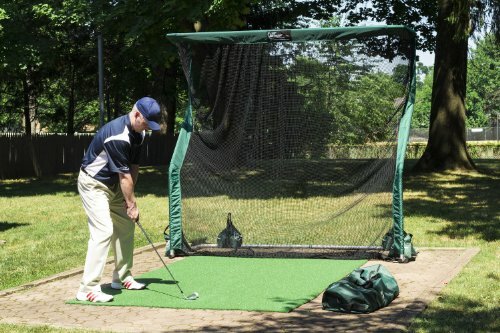 The Pro Series Net is the best home golf practice net for withstanding the thousands of reps needed to hone a golf swing. 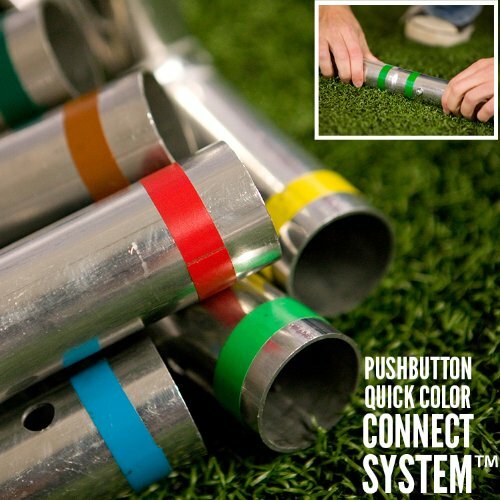 With a five minute push button assembly you can quickly set up the Pro Series Net in your backyard or in your house. When assembled the Pro Series Net stands at 7′ 6″ tall, 8′ wide and 3′ 6″ deep. This size gives you a huge target for full swings. As a unique benefit, the Pro Series Net is designed to return the golf ball directly to your feet. This return mechanism decreases the amount of ball shagging you have to do and allows you to concentrate on setup, mechanics and tempo without excessive “downtime” between swings. 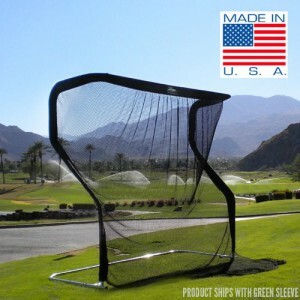 There are a lot of golf nets on the market, but this net is a premier model in terms of the durability of its netting material and frame. A golf drive, with a real golf ball, travels at over a hundred miles an hour in a small concentrated mass. Lesser nets cannot withstand the repeated impact of full swing drives and iron shots. 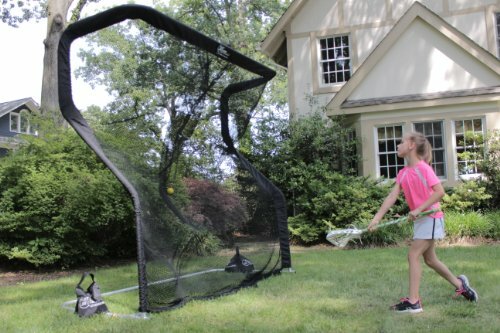 The Pro Series Net offers a unique guarantee of 250,000 shots. It withstands golf ball impacts of up to 225 MPH. For comparison, in 2011 it was reported that Bubba Watson’s driver ball speed was just below 200 MPH. And, Bubba is a BIG hitter. 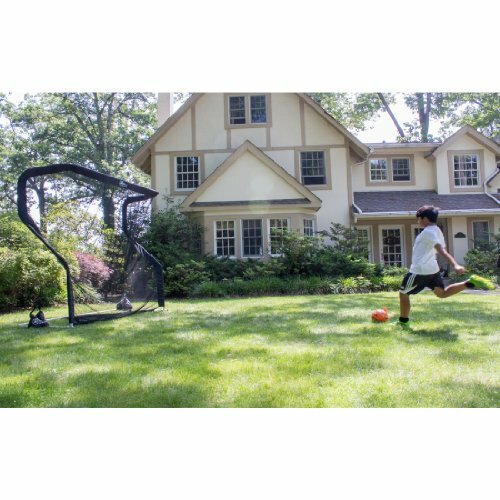 The Net Return Pro Series Multi Sport Net is built for high velocity, concentrated and repeated impact. While it is not the least expensive practice net on the market it offers tremendous value due to its durability! 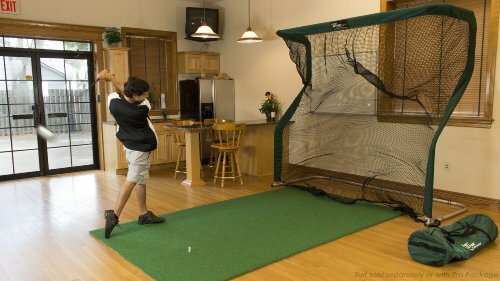 See below to buy the Best Home Golf Practice Net! Well done! As an avid golfer I had to peruse the entire site. Your decision to promote training equipment and then review is spot on. There is so much out there theses days that we all need guidance on the best way to improve our game. Just recently purchased the SKLZ Tempo Trainer and am getting incredible results. Wish I had known about your site first. Enjoyed your site so much that I have put it in my favorites. Keep up the good work. Thanks for the support. There really are thousands of golf gizmos and gadgets to choose from. We are trying to make the selection simpler by doing all the grunt work. Really happy to hear that the SKLZ Tempo Trainer is working out for you! This is a really great review you have here for at home golf practice nets. 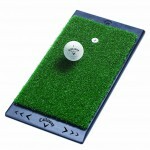 I have been in the market for one as a gift for my husband, he really enjoys playing golf in his down time after work. I felt a little over my head with all the different nets I could buy online, but you really made my choice much easier, I’m sure my husband will love this. I am sure your husband will be thrilled. The Pro Series is the gold standard, especially with its 250,000 shot guarantee! I never was that interested in golf, that I would need this kind of equipment. But I can definitely tell that it looks amazing! It’s perfect for every serious player, who wants to improve his skills. I especially like that it returns the ball back to you. It sounds very convenient, and lets you to actually focus on your swings! I think it’s worth the price if you are serious about golfing. Thanks for your comment. I appreciate it. This net is definitely an investment but with the unique guarantee that it comes with it is a terrific piece of equipment! 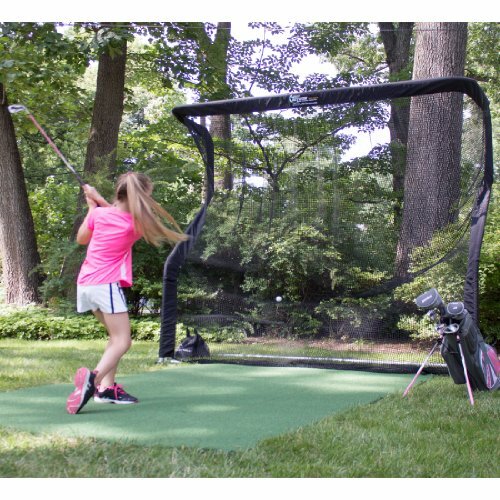 Your page on the Best Home Golf Practice Net is really good! It is clearly written, easy to understand, and laid out well. I like you overall theme and the look you get with it as well. Your content is good. It covers all of the basic questions that need to inform someone of making a decision. I like the features and photos that you have included. 1. Could you define the term “ball shagging?” A lot of folks may not know exactly what that means. 2. You mention that the turf is sold separately. Please give the approximate cost of the turf, and side barrier extensions, that would match this net. I would like to know how much my total financial output would be. I can’t think of anything else. Your page is very good! Keep up the work! Thank you for your support and questions. The first question is easy. When I say ball shagging I just mean having to go pick up the ball. With this net, the system is designed so that the ball rolls back to your feet. In terms of the turf and sidewalls, it is a little more complicated. These can only be purchased directly from the company. Current pricing of the sidewalls is $179. Given the overall size of the net, I don’t believe this is a necessary expense. Although, if you tend to grossly mishit the ball it might be advisable, especially if you will be using the net indoors. In terms of the turf, ProNet is selling theirs at $349. I would by a less expensive generic version at a smaller size. This net sounds like a great idea, being able to return the ball to your feet so you don’t have to keep going and fetching golf balls. The net probably needs to be a little bit bigger for my rather inaccurate golf swing, but then again it might actually make me focus my shots a bit better to actually hit the target zone. Thanks for introducing me to the Net Return pro series. It looks great.